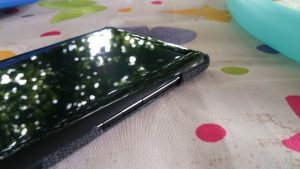 I think that everybody fancies a good-looking phone, but that can be a problem if there is a glass panel at the front and the back of the device. The glass will always shatter when it hits the hard surface, no matter what number is in front of the Corning’s Gorilla brand. Because of that unfortunate fact, you are advised to use the protective cover that is usually in the box with the phone or a case. Mass produced cases usually make your phone ugly, and many people (I’m one of them) don’t like to use them. 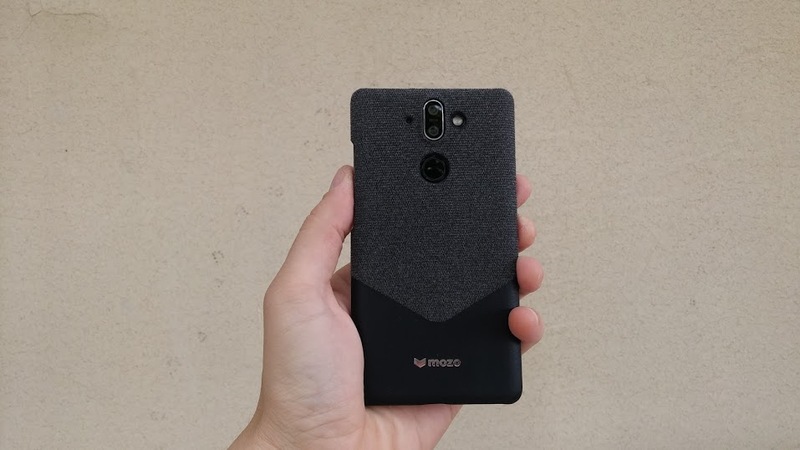 There are some companies that make beautifully designed cases, and MOZO is definitely one of them. 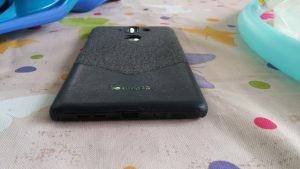 They sent us a dual fabric case for the Nokia 8 Sirocco for a review and a durability test. The case is made from polycarbonate, and it fits the device perfectly. The back of the case is where all the magic is. It is covered by two materials, a soft to touch fabric in the upper part, and nicely processed Spanish leather in the bottom part. The overall design is a bit retro but quite simple. We got the dark version of the cover which suits the 8 Sirocco perfectly, and you won’t see the dirt that accumulated over time on a leather part, which can be a problem for light colored leather. 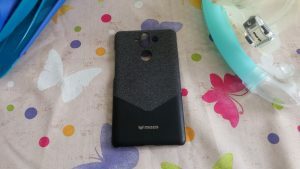 We noticed that from the light version cases MOZO sent us for Nokia 6.1 and Nokia 7 Plus. I’ve been using the case for the full three weeks and I didn’t take too much care of it. I kept the Sirocco in my pocket, inside the man purse (yes, I have a man purse), and I noticed a bit of wear and tear of the material at the most protruded parts. 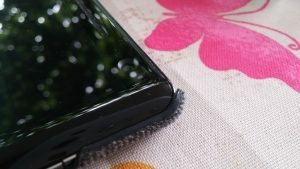 The top of the cover that was usually rubbing against the other material when I was reaching for my phone sheared off. That is barely visible, especially in the dark version of the cover. The back of the cover is still in excellent condition which I like. I also accidentally dropped Sirocco, and after my wife resuscitated me, I found out that the device was still in one piece. Sirocco fell on a bottom edge, and MOZO cover saved it. So, this cover will protect your phone from the occasional falls, but don’t push your luck. 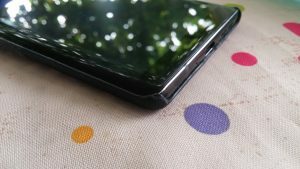 It doesn’t provide a great protection for the screen if you like to lean your device with a screen facing the surface. 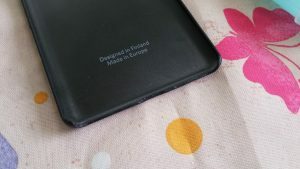 Since this case is quite thin, probably to preserve the looks of the device, the front part is not sticking out too much, so it doesn’t elevate the screen from the surface. I found the cutaway for the side button accurately done, and I was able to nicely control the power and volume rocker buttons. The upper and the bottom sides of the phone are also free, so you can easily plug in the charger, and the speaker isn’t blocked. 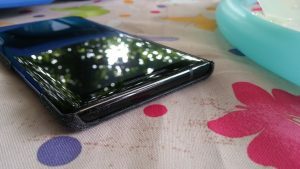 The camera, fingerprint scanner, LED, and microphone openings at the back are nicely done so you won’t face any functional problems there. 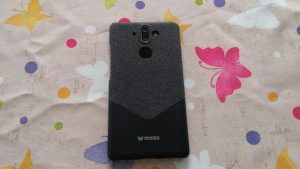 Unfortunately, I had to return the Nokia 8 Sirocco, so I couldn’t continue testing the Fabric and Leather Case. There will be some wear and tear of the most protruded parts, but the fabric and the leather are nicely glued on, so they won’t fall off after months of usage. I can recommend the case since it gives the much-needed protection for the glass covered Sirocco. It also makes the device look appealing. 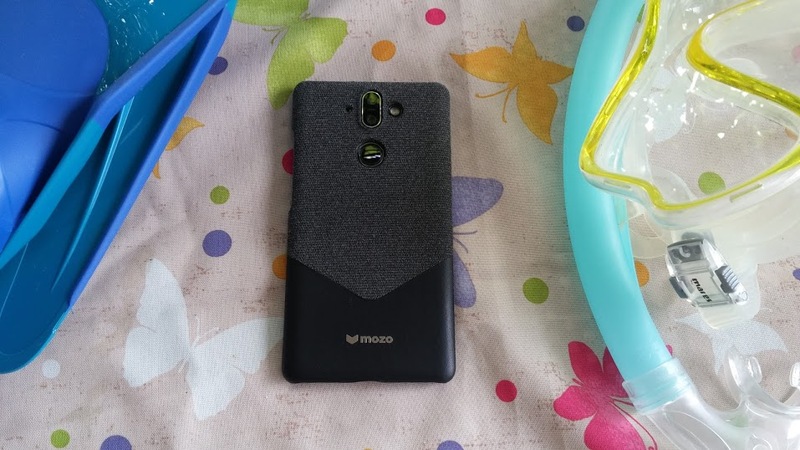 If you decide to buy a MOZO cover, definitely go for the dark version since you’ll have to pay more attention to the light one that can attract the dirt easily. 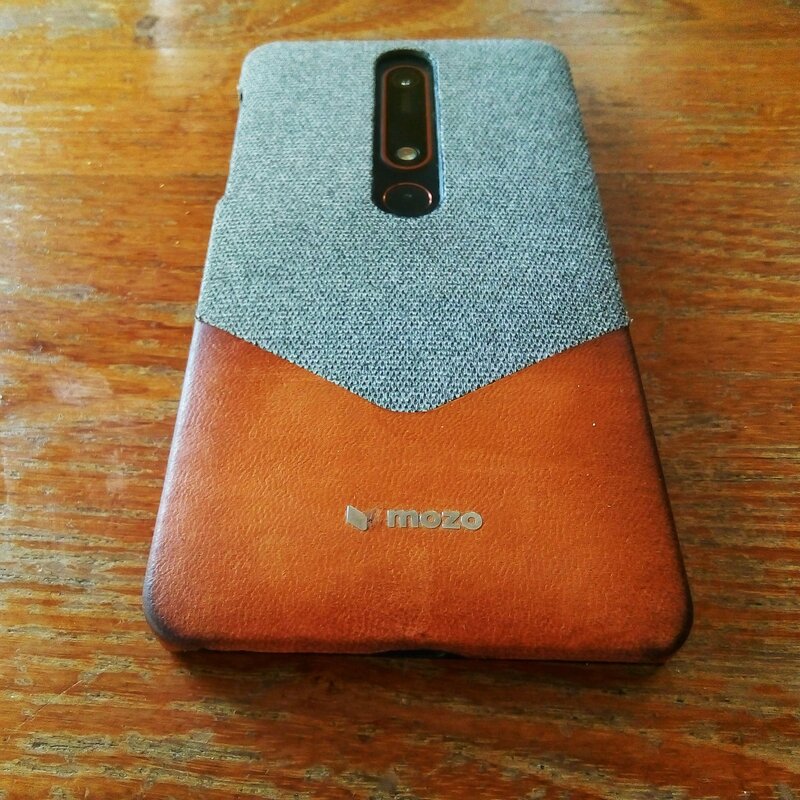 The price of the Nokia 8 Sirocco Fabric and Leather case in the MOZO Web Shop is €28.90. Thank you MOZO for the provided cover! 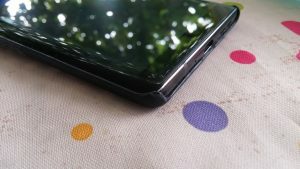 Thank you HMD Global for the Nokia 8 Sirocco! #Nokia 3310 (2017) sales start next week? !